Hey! Happy last day of 2014! Let’s talk about eats from a few weeks ago! Breakfast: About 2 weeks ago I was on a yogurt kick. 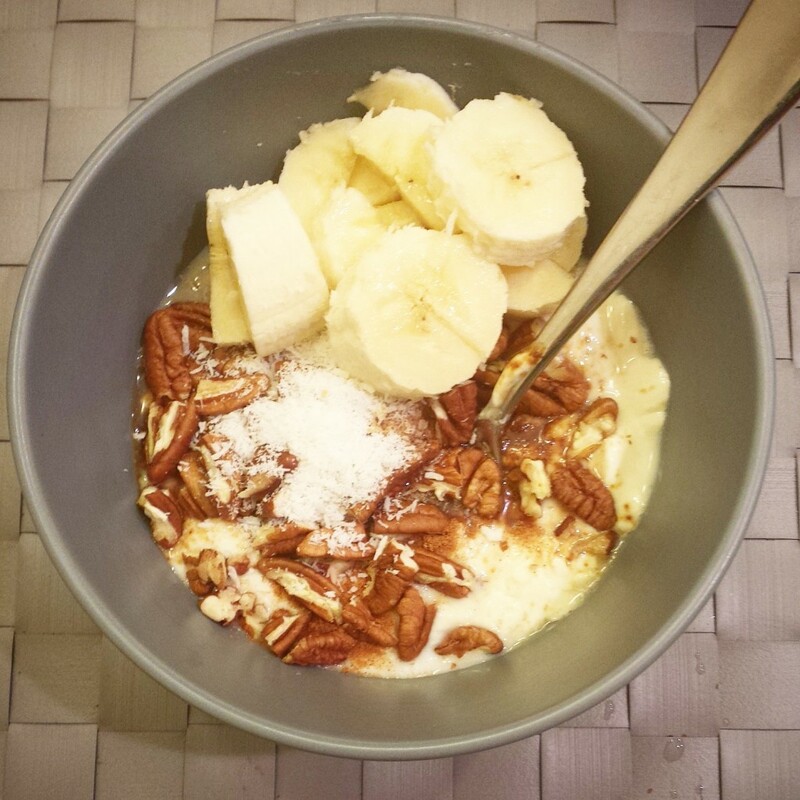 That must be when these pictures are from… Soy yogurt with banana, coconut, pecans, cinnamon, vanilla and coconut sugar. This has to be my favorite yogurt combo! 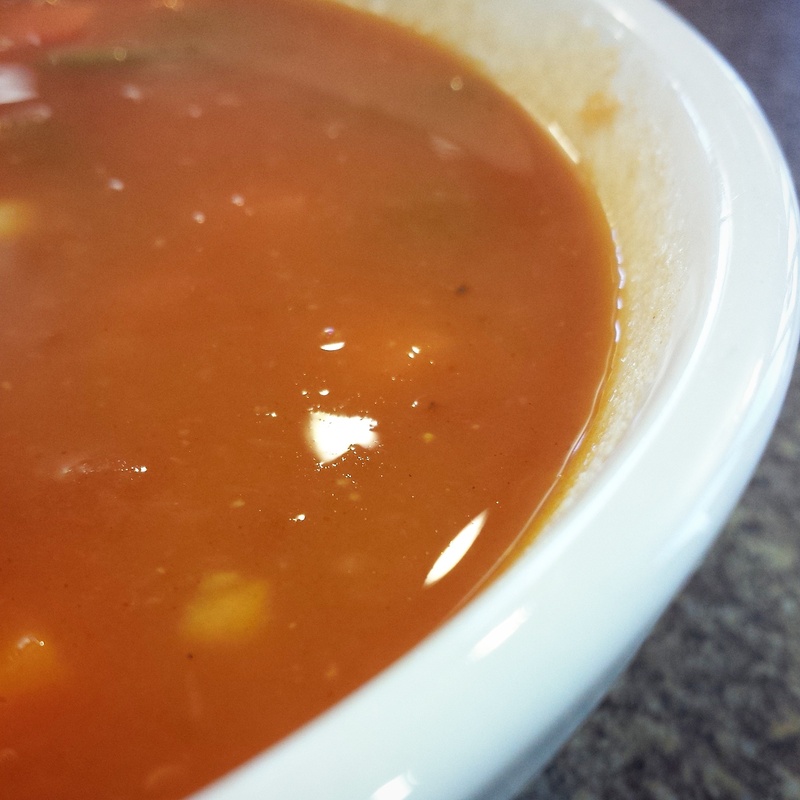 Lunch: It was a mega-dreary day and work was serving vegetable soup. The perfect combination. I actually ended up eating a bowl at lunch…and another right before they closed in the afternoon. 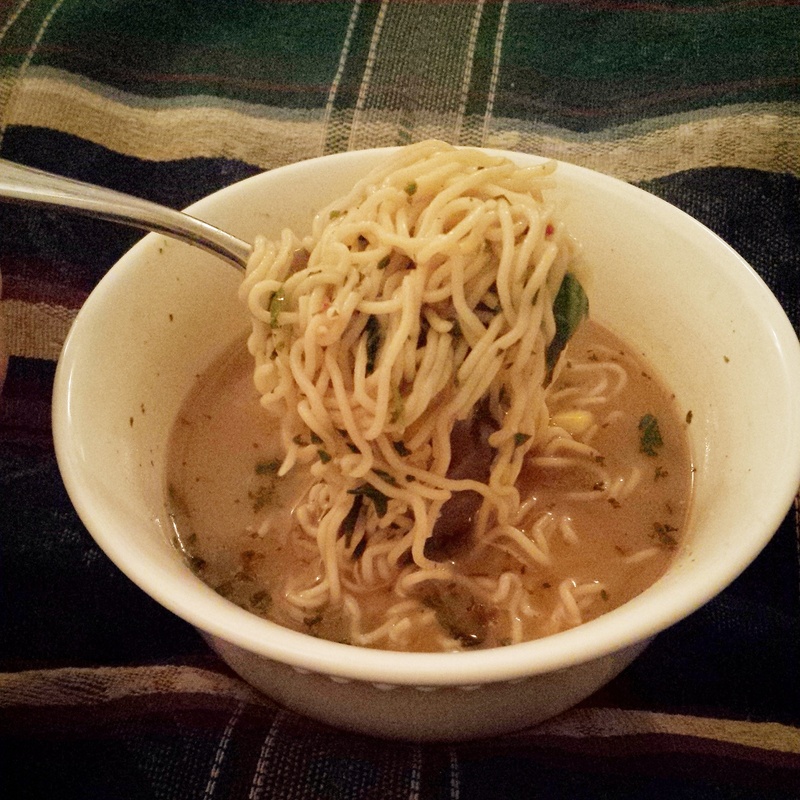 Because…Soup. Dinner: I must have been solo-eating on this night… it was Rice Ramen with spinach. 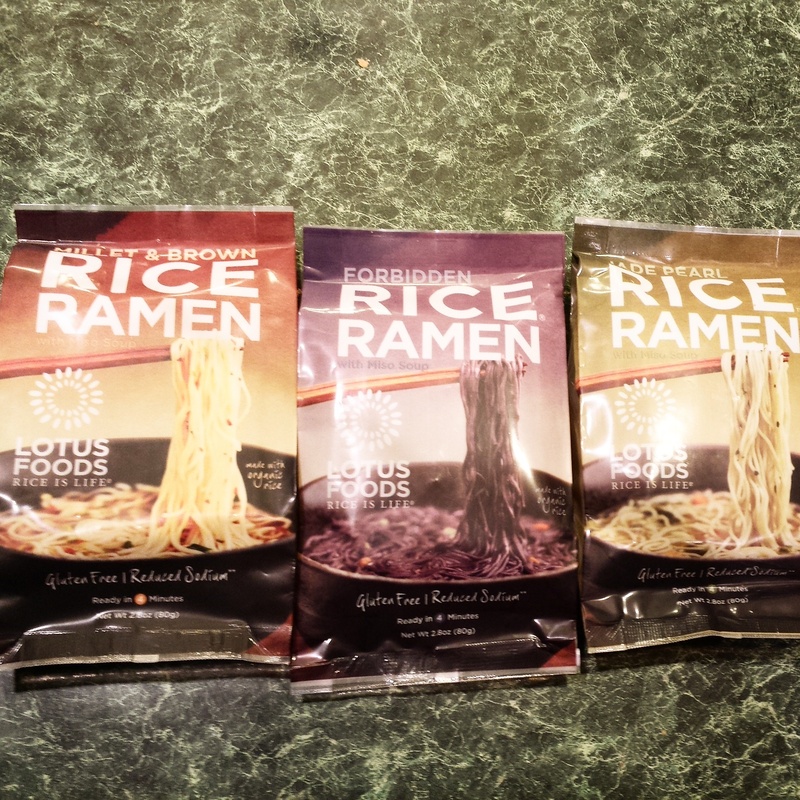 I really enjoy these as a quick go-to meal! (Also. Yeah. That pillow under my bowl is the pattern of my couch. Yeah 90’s..I know you’re jealous…) So – those were my eats a few weeks back. I hope everyone had a lovely Christmas and is prepared for a fantastic New Year! I’ll see you tomorrow for Thinking Out Loud Thursday, and then next week we’ll be back to recipes with some pretty awesome stuff in the works…so get excited!